Pan African bank Ecobank has partnered with Visa to launch Ecobank Scan+Pay with mVisa solutions to their consumers. The strategic tie-up signals interoperability on a cross border level – and potentially huge gains – as it affords consumers with the ability to use their mobile phone to directly access the funds in their bank accounts to pay person-to-merchant (P2M) or person-to-person (P2P). 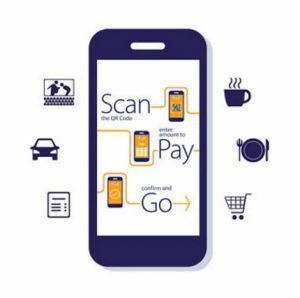 Ecobank Scan+Pay with mVisa delivers instant, secure cashless payment for goods and services by allowing customers to scan a QR code on a smartphone or enter a unique merchant identifying code into either a feature phone or smartphone. The payment goes straight from the consumer’s bank account into the merchant’s account and provides real-time notification to both parties. This serves to accelerate digital commerce and combat some of the challenges merchants have faced using traditional point of sale systems, including the cost of installation coupled with the requirement of electricity and internet connectivity. Ecobank mVisa solutions also enable customers to send money instantly to any Visa cardholder worldwide. This is a major innovation that serves the need of Africans in the diaspora by enabling them to simply link their Visa card to the Ecobank unified mobile app to send money home to another Visa cardholder quickly and securely.